Few things are as relaxing as a hot bath after a long day of physical activity. Get all those sore muscles relaxed after a long hike with a nice soak in the tub. 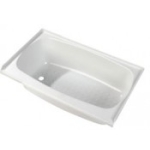 At Dyersonline.com we carry a number of options for bathtubs to fit any size bathroom. Think your bathroom is too small for a tub? Check Dyersonline.com and see what options are available. If you are not in the market for a bathtub, a hot shower is the next best thing. Get all the dirt and sweat off after a day of fun in the sun. 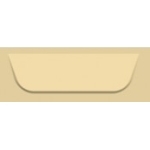 With a number of sizes and accessories you have come to the right place. We are sure you fill find something to suit your needs. 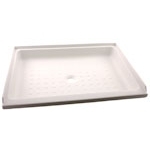 We have a number of shower pan sizes and a variety of shower surrounds. Find the right shower to fit your unique bathroom. Even if you can only fit a very small shower and are looking for some way to get a little extra room in the bath, there are several options. We have an Extend-A-Rod product for your shower curtain giving you a bit more elbow room so you can shampoo your hair and not your shower curtain. 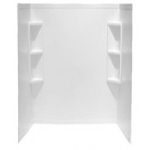 Get some privacy when you shower and don’t drench your bathroom in water with the Extend-A-Rod you can have the space you need even in a tiny bathroom. 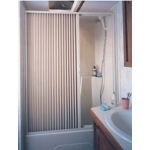 Another affordable option for getting a little extra room in the shower is the Thetford Expandable Shower Curtain. It attaches simply and gives you added room even in the tiniest of bathrooms. Replacing a shower or tub is a very costly endeavor, but with the Devcon Almond Bath/Tub Repair Kit you have an inexpensive fix. 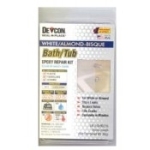 The Devcon Almond Bath/Tub Repair Kit repairs leaks, tears and holes easily and dries in minutes. Don’t spend tons of hard earned dollars on a replacement unit when you can just repair the one you have. 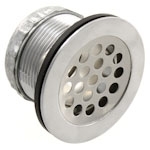 Check out our plumbing section and see how Dyers can help you!